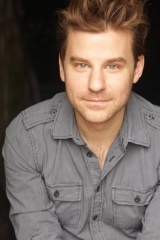 Stephen Cone completed the smash 11-week run of About Face Theatre's critically acclaimed, Jeff-nominated world premiere "The Homosexuals", for which he personally received widespread critical praise, with Chris Jones calling his performance "so beautiful it sticks with me as I write" and Time Out calling him "a revelation". Jones also selected him as one of 2011's 7 Hot Faces to Watch. Stephen also stars in The Wise Kids, a film he wrote, produced and directed, and which has picked up awards and critical acclaim all over North America. Other credits include Primary Stages and York Shakespeare in NYC and Workshop Theatre and Theatre South Carolina in Columbia, SC, where he received his BA in Theatre from the University of South Carolina.